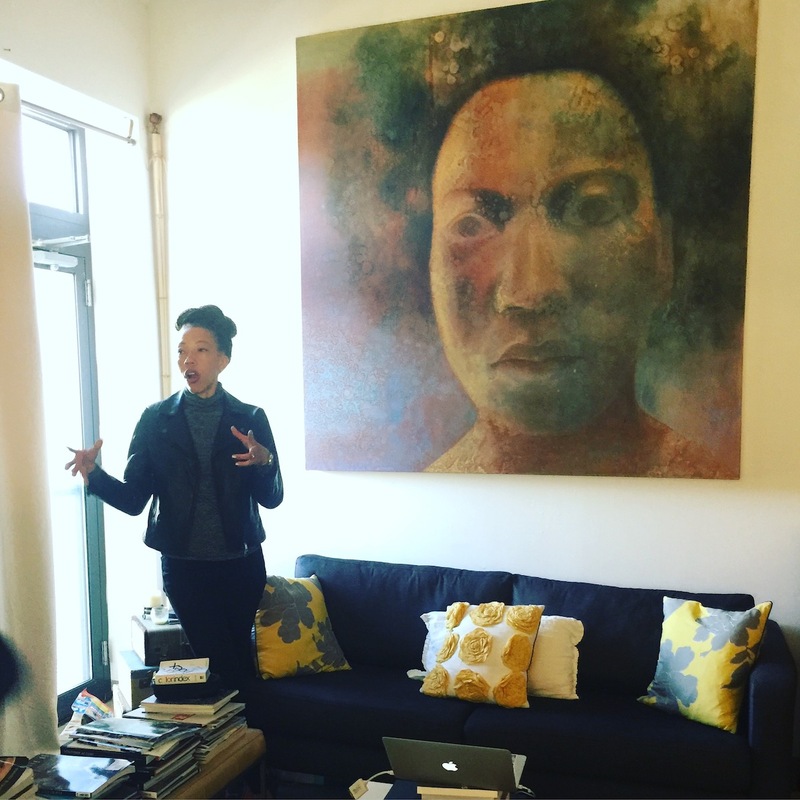 Everyone knows there is amazing, collectible artwork being made here in Baltimore, and not just because Amy Sherald is now super famous. Over the past few years I have been approached by hundreds of individuals asking for advice and guidance about how to buy the work of Baltimore-based artists, and I have curated studio tours for cultural leaders, curators, and collectors including our Beyond the Frame Studio Tour: 22 Baltimore Studios in 2 Days with Mera Rubell and Chris Bedford, as well as one for college presidents from MICA and Johns Hopkins University, visiting critics like Hrag Vartanian of Hyperallergic and Carl Swanson of NY Magazine, and BmoreArt readers who want to build their own collections. 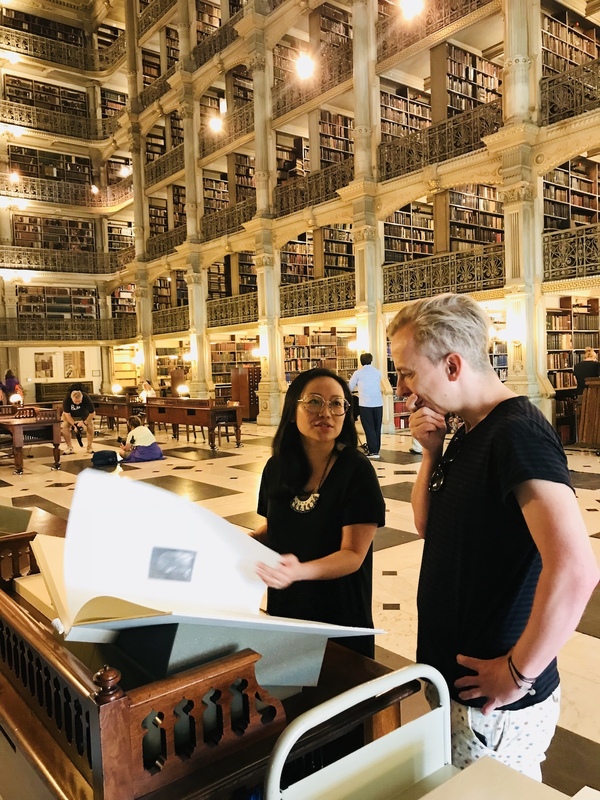 I’m not an art dealer – I’m a writer and researcher, so I’m not selling anything, except perhaps Baltimore as a locus for excellent cultural production. In each case I have been one hundred percent confident that the work I have put in front of curators and collectors is excellent and collectible, based on a decade of research and writing. I have seen how even a small amount of investment, in the form of purchasing work from an artist from a gallery or studio or a donation to a museum, can help to catapult an artist to a greater level of success, an act that can also raise the value of their work. 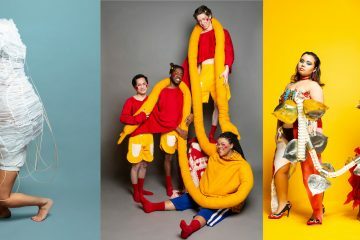 I believe that “it takes a village” to grow a successful career of even the most dedicated and talented artists, and that working strategically as a community to make this happen significantly improves the odds – for Baltimore’s artists, for the city’s reputation – and that this movement will be exciting to be a part of. 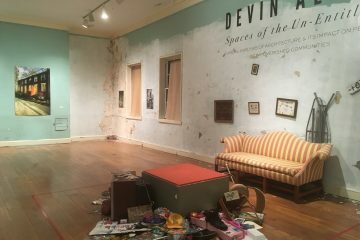 I recently partnered with Jeffrey Kent, an artist and former gallery director of the Sub-Basement Artist Studios and Unexpected Art, with support from the Robert W. Deutsch foundation, to conduct more specific research around collecting practices in the region and we have spent the past six months interviewing collectors, curators, and artists about their experiences. Jeffrey was one of the first individuals to recognize and support Amy Sherald’s painting practice when she was a grad student; he offered her a studio at the Sub-Basement and sold her portraits to a number of Baltimore-based collectors… and the rest is art history! 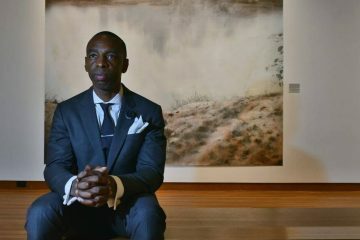 At this point you cannot buy an Amy Sherald painting – even museums have to wait in line for one – but Jeffrey and I have conducted enough research to identify a short list of artists who have the talent, drive, and experience to potentially step into a national spotlight, especially if they have enough support. Overwhelmingly we have been told that collectors want to be a part of Baltimore’s growing arts movement, that they see collecting art of a specific place – their own place, Baltimore – to be an exciting and worthwhile venture, but they don’t know how or where to begin. How to encourage an art collecting shift in Baltimore? 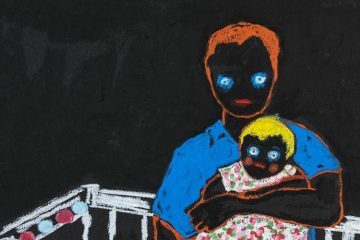 How to create interest and momentum for collecting works by Baltimore-based artists? How to educate people about general collecting practices to make them feel comfortable in this process? How to educate artists about how to be better prepared for the opportunities that materialize? There are a number of galleries and excellent arts professionals tackling this problem in a number of different ways and we want to support and supplement what they are doing, to build a network of advocates for artists based in Baltimore that can work in a strategic and collective way. In our research, we discovered a number of collectors who spoke passionately about the work they purchase and how they have built a significant collection. 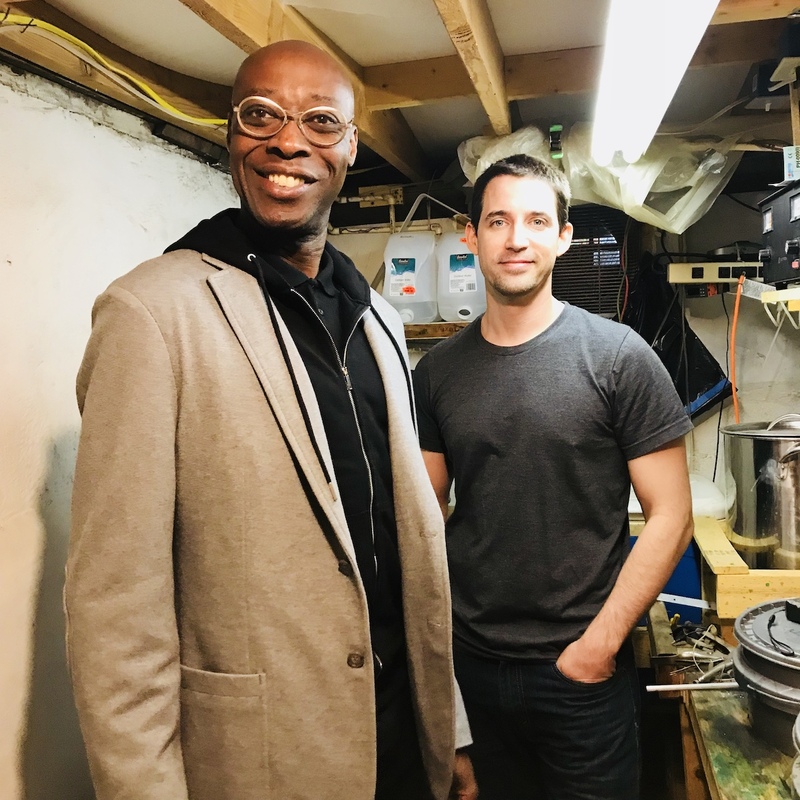 We talked to them about how they conduct research, where and why they buy art, and how they build relationships with artists. We realized that we could make the act of collecting more accessible and more visible by making these conversations available to a wider audience. 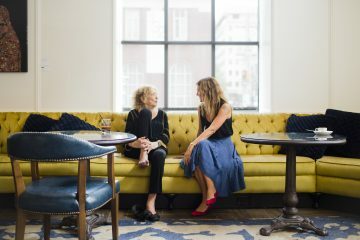 We also discovered that human beings enjoy getting together in person and that events create positive energy, so this is the impetus behind our new Connect + Collect Speaker Series initiative, where we bring art collectors and artists together for honest conversations to demystify the practice of collecting. 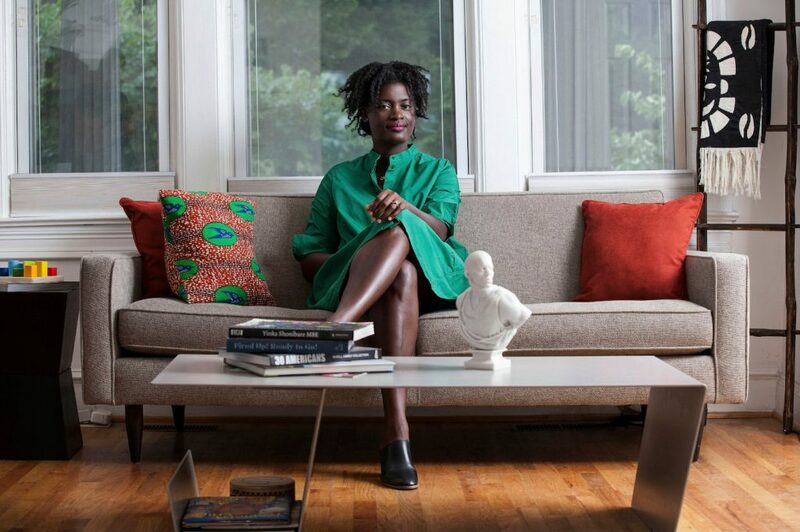 We are proud to present our first C+C conversation on Thursday, January 24 with Schwanda Rountree, a Washington, DC-based lawyer, collector, and art consultant, whose purposeful method of collecting the art of our time simultaneously elevates the careers of the artists who have been historically left out of art history with artist Mequitta Ahuja, a Baltimore-based painter who has been awarded both a Guggenheim and Louis Comfort Tiffany award and has gallery representation elsewhere but not in Baltimore. Not only is Rountree a fan of Ahuja’s work, she is now an owner of it. In October 2018, Rountree announced a new acquisition: a large-scale, mythic self-portrait by Mequitta Ahuja. The painting boasts hieroglyphic-like drawings, sweeping paint strokes, and hand stamps on collaged vellum, and was purchased at auction in London. Although the paintings is almost too large for the walls in her home Rountree admits that she has loved the piece since she first saw it at the Smithsonian’s National Portrait Gallery in 2012. Compelled to keep the painting in the United States, as well as in supporting the artist in maintaining a solid auction record, she knew that it needed to be a part of her collection, whether it hangs in her home or on a museum wall. Rather than presenting art collecting as the super expensive leisure time activity of the rich, our series presents collectors like Rountree, whose collection is personal, relational, and manageable in the relatively small Petworth rowhouse she shares with photographer Jati Lindsay, her husband, and their young daughter, Autumn. 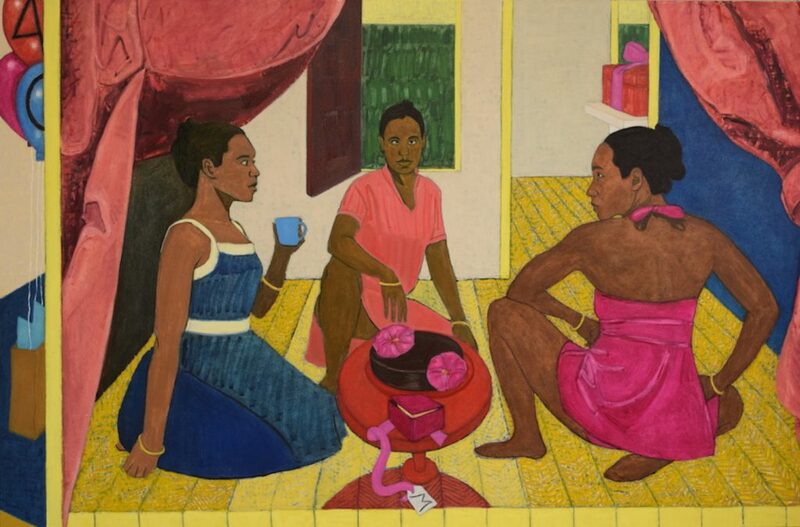 Rountree’s selections prominently feature international artists and women artists of color, but also strike a balance between DC-based artists on the cusp of greater renown with internationally recognized artists. What are the criteria for her selections? “I love how the image looks, but for me the most important thing is the dialogue they provoke,” she explains. 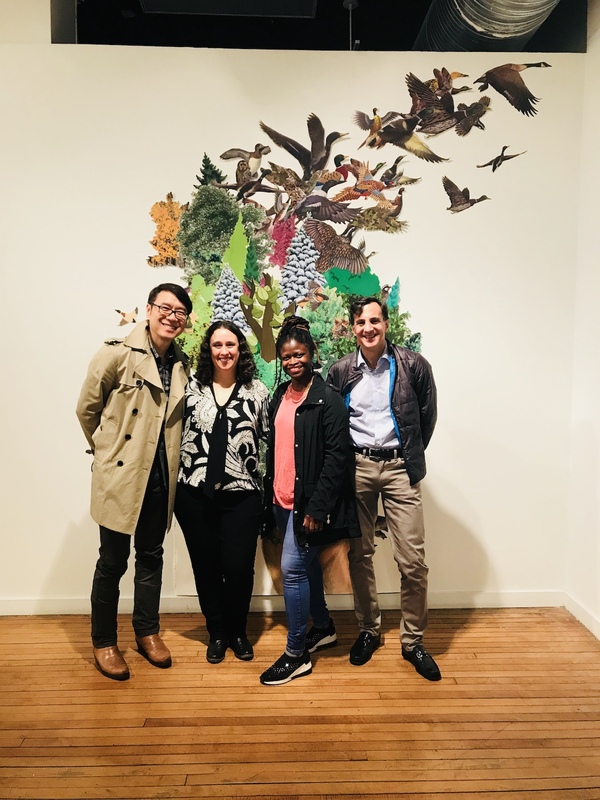 Although she invests in the art and artists she loves, Rountree often follows an artist’s career for years, beginning with their MFA exhibition thesis. She pays attention to where they show, who else is collecting them, and how their work evolves. For her, it’s not about whether an artist will blow up internationally, but more about her own feelings of commitment to their work, ideas, and career. Since then, her collecting practice has grown beyond her own wall space; she now purchases work with the goal of placing them in museums. In addition, her devotion to artists and placing work in significant private and museum collections has grown into Rountree Art Consulting, an independently run business that makes her a regular at international art fairs, as well as to New York, Chicago, and DC galleries, where she conducts on-site research, both for her own collection and for her clients. Most often Rountree serves as a conduit between artists, galleries, collectors, and museum acquisition committees, and was a regular advisor to the now deceased Peggy Cooper Cafritz, a significant collector of African-American artists, who recently left her collection to the Studio Museum in Harlem and the Duke Ellington School for the Arts in Washington. In the case of artist Mequitta Ahuja, The July 24, 2017 issue of the New Yorker described her work, then on view at the Asia Society Museum, as “whip-smart and languorous.” According to the John Simon Guggenheim Foundation, where she was just named a 2018 Fellow, Mequitta Ahuja’s works have been widely exhibited, including venues such as the Brooklyn Museum, Studio Museum in Harlem, Saatchi Gallery, Minneapolis Institute of Art, Crystal Bridges, Baltimore Museum of Art and Grand Rapids Art Museum. Ahuja, a Baltimore-based artist whose parents hail from Cincinnati and New Delhi, has long employed her own image to challenge historic traditions of portrait painting. “My central intention is to turn the artist’s self-portrait, especially the woman-of-color’s self-portrait, long circumscribed by identity, into a discourse on picture-making, past and present” – for my Guggenheim application, I took my artist’s statement and reworded it in the future tense. The fact that I may well be working on this “project” for a lifetime as opposed to the yearlong duration of the fellowship is a benefit not an obstacle. 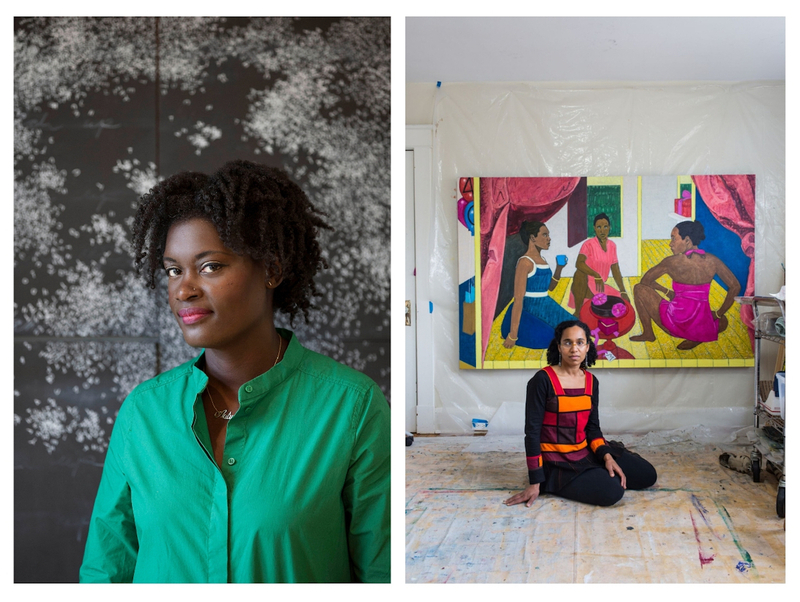 We are thrilled to bring these two women, collector and artist, together for a conversation about collecting the art of a specific place and best practices for building ethical, respectful, productive relationships between artists and patron. 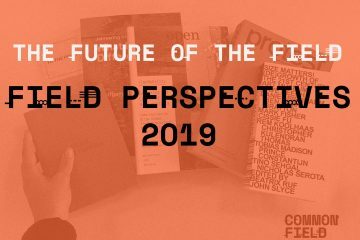 Although we are not sure what the impact will be upon those in the audience, our goal is to inspire a shift in thinking – from short-term to long-term, and from cultural bystander to participant. 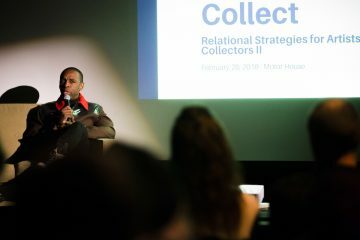 We welcome artists to this conversation who want to strengthen relationships with collectors, as well as those who want to build private and public collections, including curators, collectors, gallerists, and art professionals. Our panel will be followed by a reception in The Showroom and each ticket includes an adult beverage at the bar. Attorney and Art Consultant Schwanda Rountree places contemporary art in museums and private collections, domestically and internationally. She currently serves as Consultant for the Joan Mitchell Foundation. She has also served as Advisory Board Member of the Spelman College Museum of Fine Art, Advisory Panel Member of CulturalDC, Executive Board Member of the Porter Colloquium on African American Art, member of ArtTable, and Advisory Board Member for the 30 Americans exhibition at the Corcoran Gallery of Art. 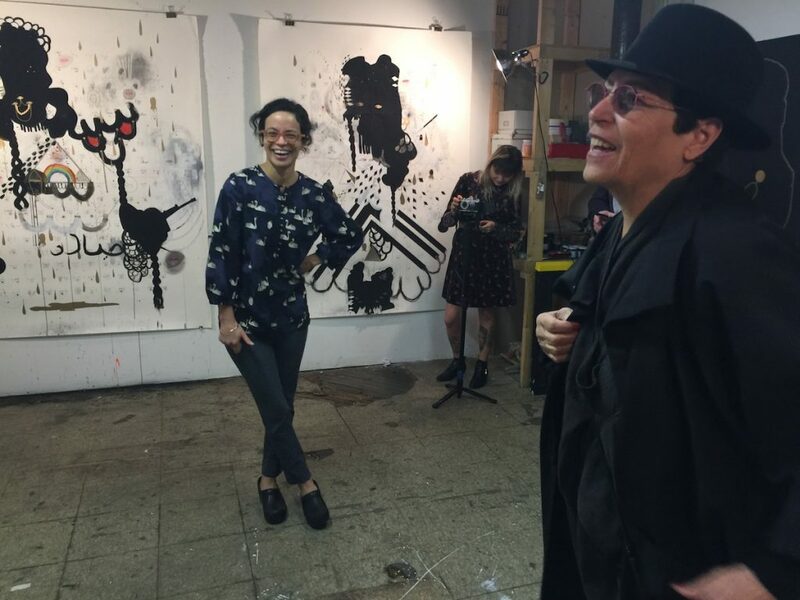 Schwanda has curated several art exhibitions including ones during Miami Art Basel and the DC Jazz Festival. She has spoken on art panels at institutions and galleries, such as the Corcoran, the Phillips Collection, the National Museum of Women in the Arts, and Rush Arts Gallery in New York. She has served as Contributing Writer for the International Review on African American Art. Baltimore-based painter Mequitta Ahuja turns the artist’s self-portrait, especially the woman-of-color’s self-portrait, which has long been defined by identity, into a discourse on picture-making. 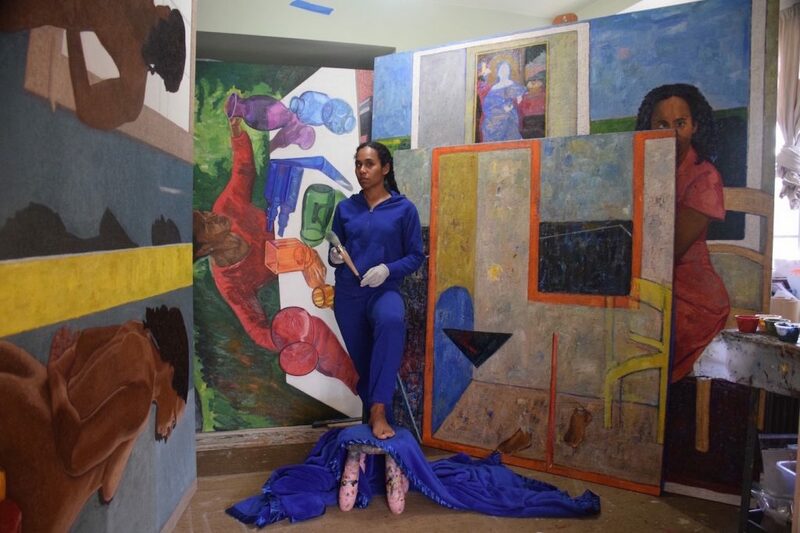 Of South Asian and African American descent, the artist positions herself boldly within her compositions, but makes the turn away from subjectivity by focusing on painting as a received form. She visually catalogs painting conventions, established over centuries while using those conventions to make new meanings. Ahuja is the recipient of the 2018 Guggenheim fellowship award. She studied at Hampshire College (BA,1998) and the University of Illinois (MFA,2003). 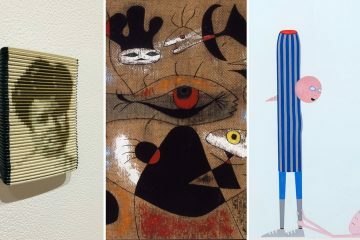 Ahuja’s works have been widely exhibited in institutions and galleries including Brooklyn Museum, Studio Museum in Harlem, Saatchi Gallery, Minneapolis Institute of Art, Crystal Bridges, Baltimore Museum of Art and Grand Rapids Art Museum.